Bring a pot of water to boil over high heat. Salt the water liberally. 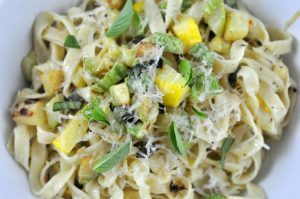 -May through September is the prime season for zucchini and other summer squash, so this is a great dish to make during the summer. Many of our vendors are selling zucchini and summer squash at the market!